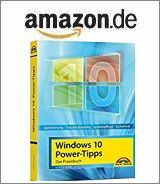 [German]Microsoft has released several updates on September 12, 2017 for Windows 7 SP1 and Windows 8.1 and its corresponding server versions. Here are a few details about those updates. Microsoft released updates KB4038777 and KB4038779 for Windows 7 SP1 and Windows Server 2008 R2 SP1. The Windows 7 update history may be found on this Microsoft page. The package will be offered via Windows Update and via Microsoft Update Catalog. Microsoft lists as a known issue WordPad crashes. This is under investigation. This update doesn’t contain IE 11 patches. This Update is available via WSUS and in Microsoft Update Catalog. Microsoft lists as a known issue WordPad crashes. This is under investigation. Microsoft has released updates KB4038792 and KB4038793 for Windows 8.1 and Windows Server 2012 R2. The update history for Windows 8.1 may be found at this Microsoft site. This update is available via Windows Update and as download within Microsoft Update Catalog. After update installation japanese Input Mode editor may hang. A blog reader reported, that Update KB4038792 is causing error 0x8020002E. Solutions are: Try a reboot, run update trouble shooter and check, whether the update services are running. Update KB4038793 (September, 12, 2017 Security Only Quality Update for Windows 8.1 and Windows Server 2012 R2) addresses the following issues. Security updates to Microsoft Graphics Component, Windows kernel-mode drivers, Windows shell, Microsoft Uniscribe, Microsoft Windows PDF Library, Windows TPM, Windows Hyper-V, Windows kernel, and the Windows DHCP Server. It will be offered via WSUS and via Microsoft Update Catalog. It doesn’t have IE 11 fixes and no fix for the NPS authentification bug. Microsoft has published a workaround for the NPS bug in KB4038793. After update installation japanese Input Mode editor may hang. This entry was posted in Security, Update, Windows and tagged Update, Windows 7 SP1, Windows 8.1, Windows Server. Bookmark the permalink. Das KB4038792 hat auf einem Server 2012R2 den WSUS ausser funktion gesetzt. Es ließen sich keine Updates mehr suchen. KB4038792 changes some values in the Web.config file on the WSUS Server (“C:\Program Files\Update Services\WebServices\ClientWebService\Web.config”). If you alredy have a lot of updates you probably changed the value “” to something like ” ” to prevent Errors on the Clients WindowsUpdate.log. After installing the Update “KB4038792” on the WSUS Server the value “maxCachedUpdates” in the “web.config” file is reset to “”. Thus the error below is generated in the WindowsUpdate.log on the Clients while searching for Windows Updates using the WSUS Server. You have to take over the Ownership on the “Web.config” file on the WSUS Server and Change the value back to ” ” for example to get rid of these Errors.